I think one of the best things to come out of Italy is Burrata Cheese. 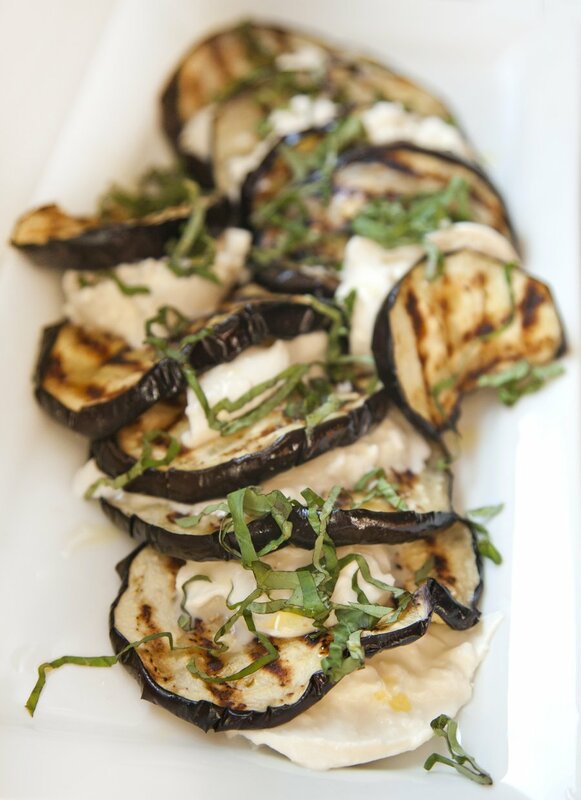 If you haven't had Burrata yet (shame on you), the best way to describe it is as a hybrid of Mozzarella and Ricotta Cheese. It's got this great tang with this creamy texture and it's just one of those things you could put on a slice of Italian Bread and go to town on. So for last night's Meatless Monday meal, I decided to make something that I never EVER cook: Eggplant. I have to be honest, I am not a huge Eggplant fan, but the eggplants in the store looked amazing and gigantic and I had to give them a try. 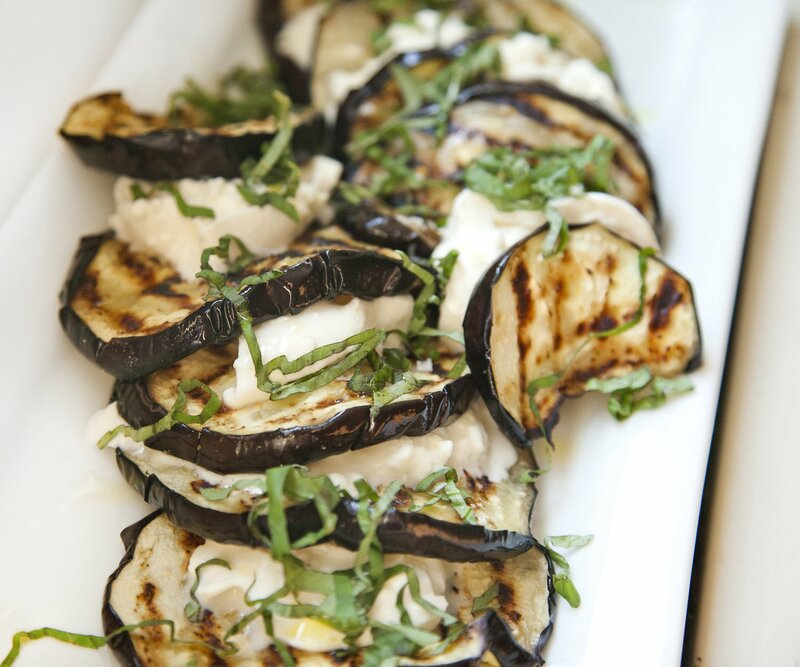 Instead of doing what I usually do with ingredients that I'm not fond of, which is Frying them up, I went with a Grilled Eggplant. I paired is with some delicious fresh Burrata and Fresh Basil. Aand as an added Italian kick, I drizzled some delicious Extra Virgin Olive Oil on top and one of my favroite things, Maldon Salt (a flakey sea salt). I must admit, tihs was a great option for a Vegetarian Dinner! 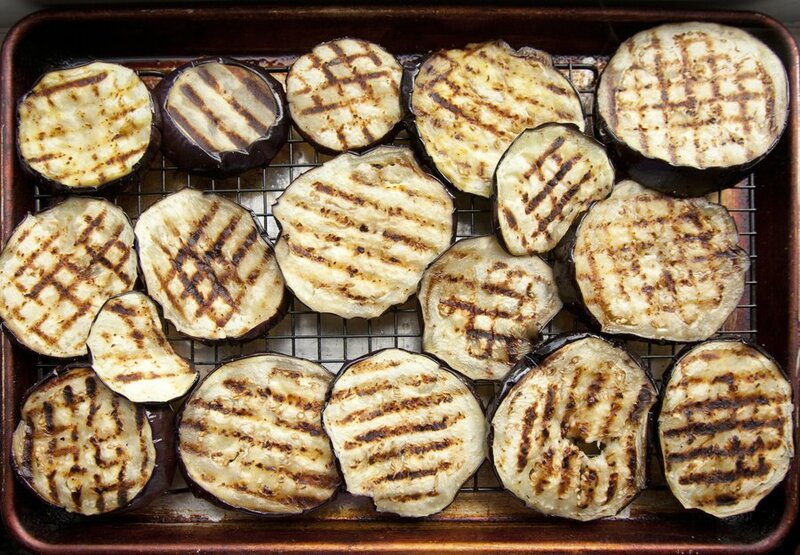 Cut up your eggplant into 1/4" rounds. Place in one layer on a baking sheet and generously salt. Let it sit at least 30 minutes (this helps remove the bitterness from the eggplants). After 30 minutes, with a paper towel, dab off all the excess moisture. Preheat your oven to 250 degrees. Also, heat up your grill or grill pan so it's smoking hot. 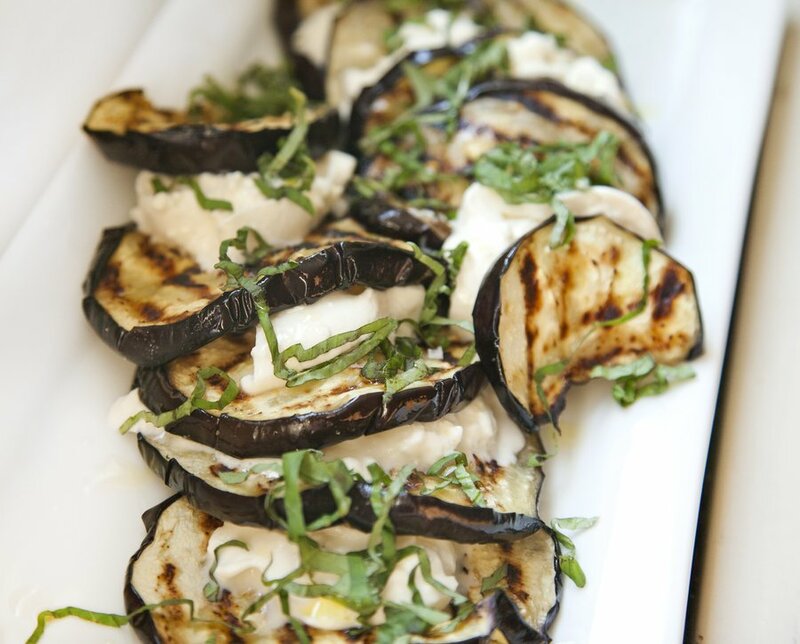 Drizzle olive oil on your eggplants and season with salt. 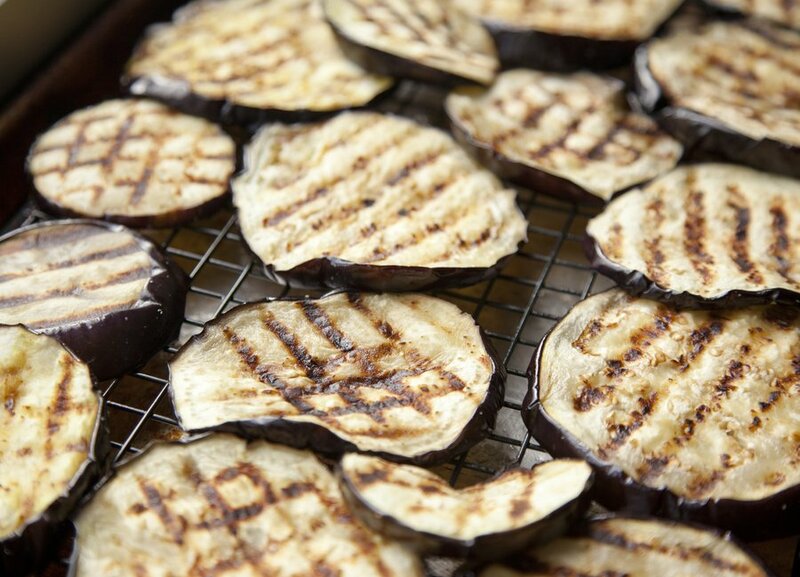 In batches, start to grill up your eggplant (you want nice grill marks on both sides - but don't over-cook them or they will become mushy). 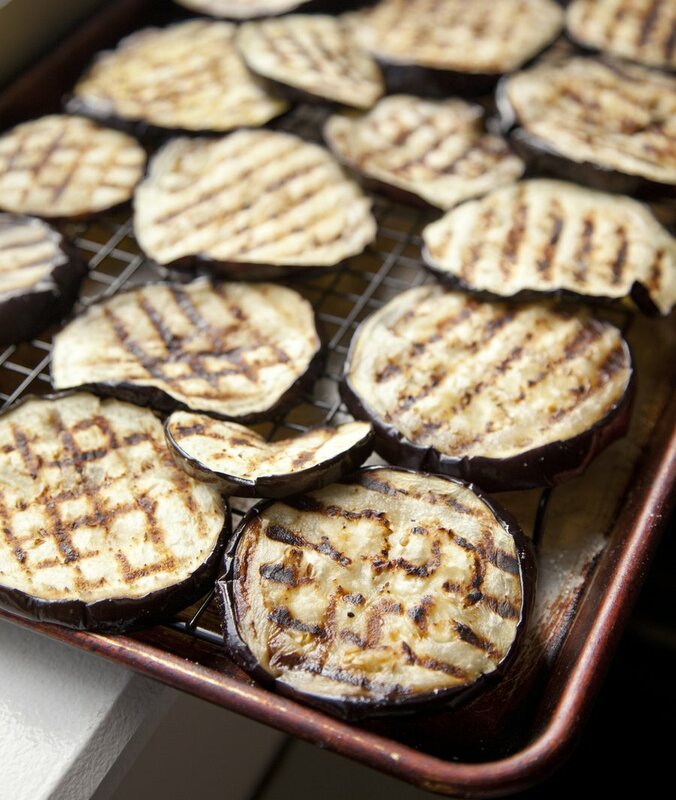 As you're grilling, remove the done eggplants and place on a baking sheet in the oven to keep warm. 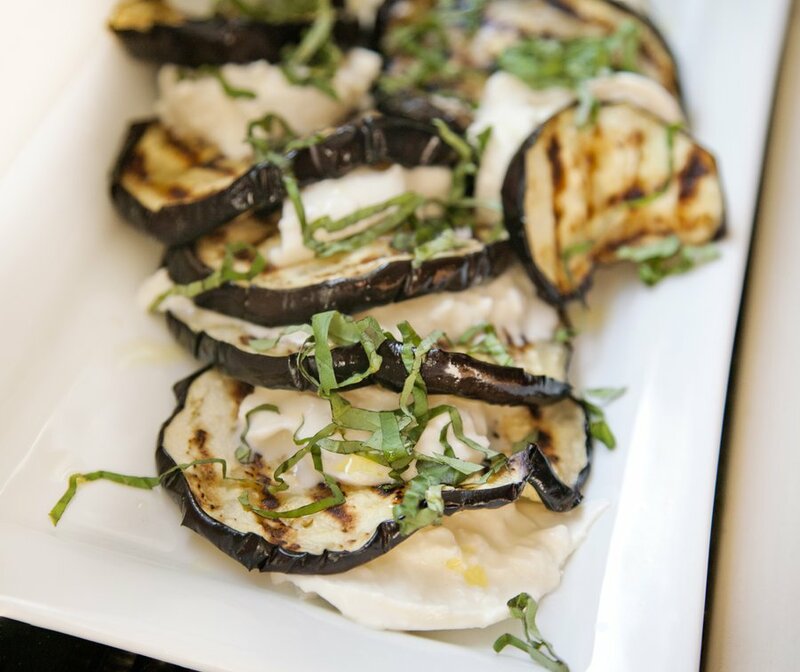 To arrange the salad: Slice up your burrata as best you can (it's not like mozzarella, it's got more moisture to it). 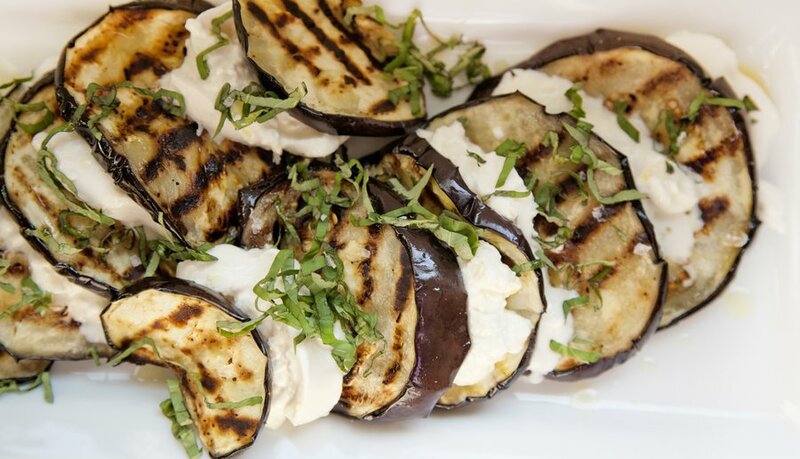 Layer alternating eggplant and burrata. Top with a drizzle of Olive Oil, Maldon Salt and fresh Basil.